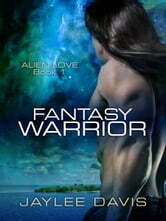 Kord, a Tauran warrior, is part of a landing party sent to spy on Krellian slave traders. When a human female runs into him, literally, his body instantly recognizes that she’s his mate. Time isn’t on his side, but he’ll do everything he can to win her affection and trust before he’s overcome by claiming lust, a primal urge so strong he can’t resist. This is a previously published book with no change in title or content. It contains adult subject matter and is not recommended for readers under the age of 18. Amazing story that captures you from page one and takes you on this wild ride, filled with action, adventure, space, and of course steamy romance! A must read!